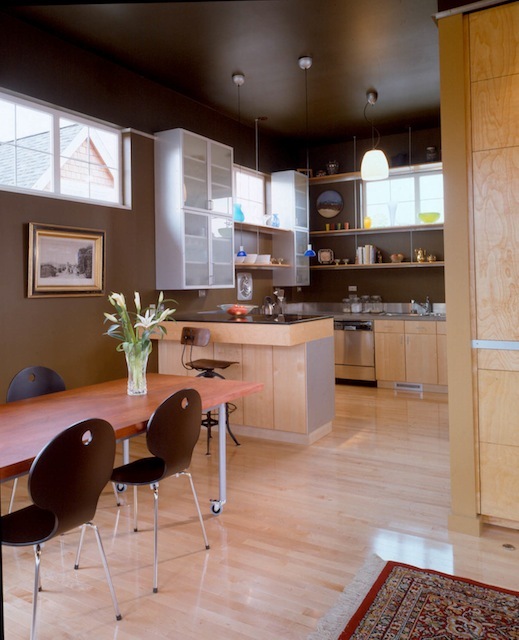 Blending traditional and contemporary themes, this new 1900 SF home has a European flavor. 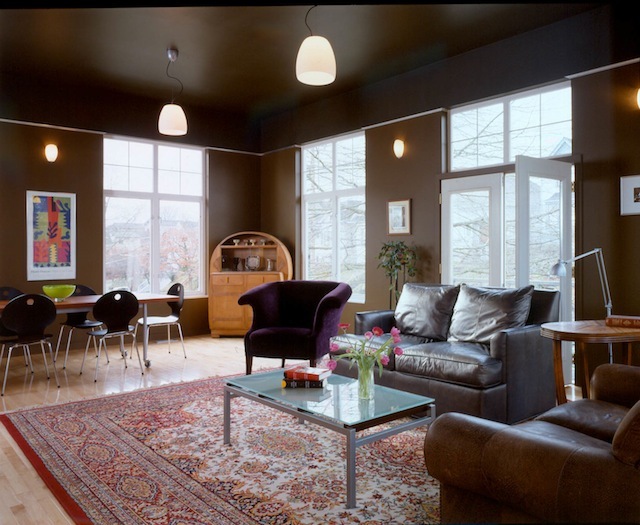 The design reverses the conventional floor plan by placing the living areas above the sleeping quarters. 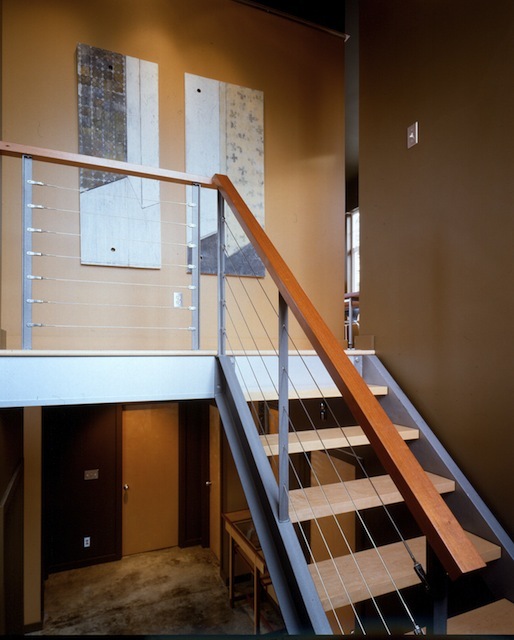 Inside, simple materials-concrete, metal, glass and plywood-find their place alongside more refined materials like hardwoods and granite. 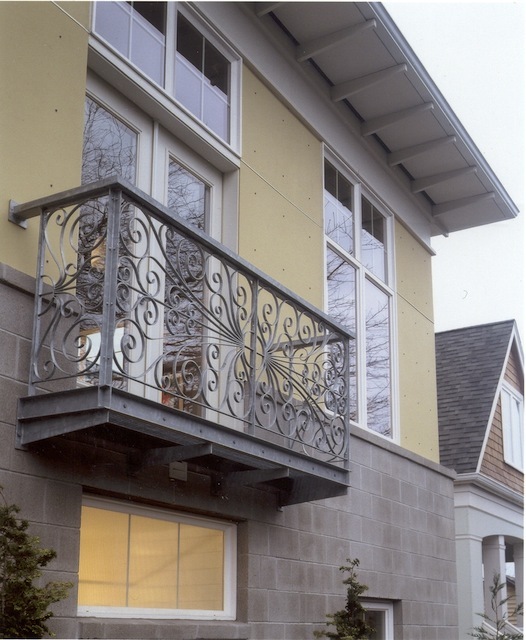 On the exterior, new Juliet balconies were designed to receive salvaged wrought iron railings. Paneling at the upper floor is of pre-painted cement fiberboard. Concrete block at the base enhances the sense of privacy on the small corner lot. The front courtyard and landscaping will create an extension of the home with garden rooms and a mature cypress wall. 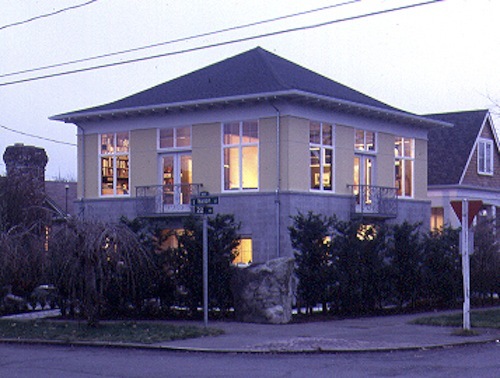 The home was awarded Home of the Year by the AIA/Seattle Times and was featured on the cover of Pacific Northwest Magazine in February 2001.